Logistics– As in ease of getting around and access. Costa Rica’s small size facilitates visiting several different areas in a short amount of time, and, on good roads. All habitats are also accessible. 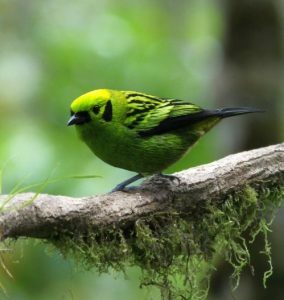 Protected areas– Speaking of habitats, beautiful rainforest, cloud forest, and other natural places are protected and easily accessible in the national park system and private reserves. Stability– Having abolished the armed forces 70 years ago, Costa Rica has long been known as one of the more stable and peaceful countries in the western hemisphere. 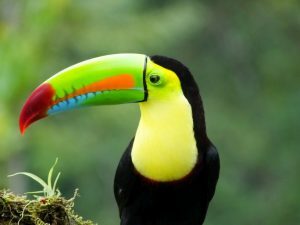 Tourism infrastructure– Once word got out about Costa Rica’s deserved reputation for natural beauty, stability, and friendly, easy going attitude, the country became a hotspot for tourism and has invested in tourism infrastructure. 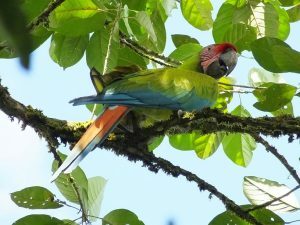 Experience with birding tourism– Since birding has played an important role in tourism in Costa Rica right from the start, many hotels and people are aware of our needs and can accommodate birders. 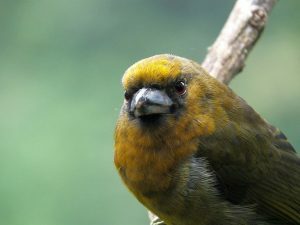 Prong-billed Barbet- one of many species easy to see in Costa Rica. 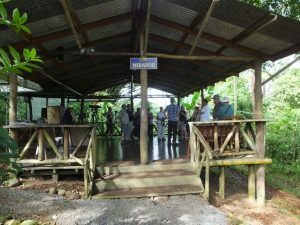 These factors not only make it easy to go on organized tours to Costa Rica, they also make it easy to arrange your own, successful trip. 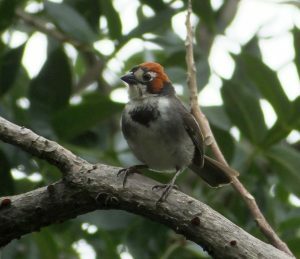 Nevertheless, the trip will be that much better if you stay at hotels that feature good birding on their grounds, and/or are situated close to top birding sites. These are a few of the reasons why I work with the hotels listed below. I also work with them because they are the ones I recommend to birders and would choose for myself if I were visiting Costa Rica for birding. As a bonus, they also happen to be good sites for bird photography. 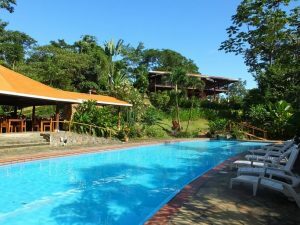 Extensive grounds with large trees and some trails through remnant woodlands, the former Hotel Orquideas is near the airport and perfect for a first and last night in Costa Rica. 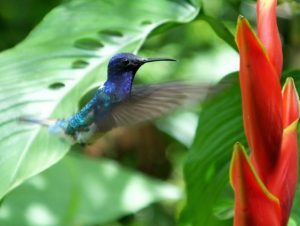 Since the extensive green space makes it one of the best hotels for birding in the Central Valley, Villas San Ignacio can also act as a fine base for birding forays to Poas, Carara, and other sites. 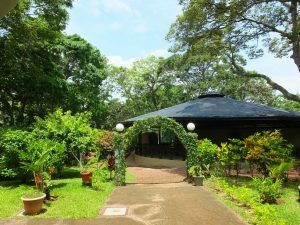 Its charm, good restaurant, pool, and beautiful grounds also make this oasis a good choice for travel with non-birders. See more about Villa San Ignacio in this post. 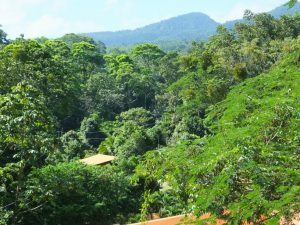 Also situated rather close to the airport, this comfortable choice for lodging provides good service and access to grounds and other nearby sites that host a number of dry forest species. One of the owners may also provide access to a farm with good birding opportunities. 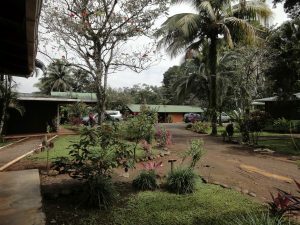 The Robledal can act as a base for visiting Carara, Poas, and other sites but works best as lodging for the first and last night of a birding tour to Costa Rica. 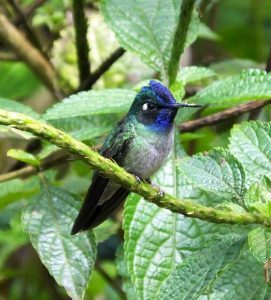 Reforested gardens and nearby habitats that host literally hundreds of bird species PLUS good service and easy access make Cerro Lodge an excellent choice for birding the Carara area. Tour groups have noticed; the lodge can be booked solid during the high season. Since it only takes a bit more than an hour to drive to Cerro from the airport, this lodge for birders also works as accommodation for the day of arrival. 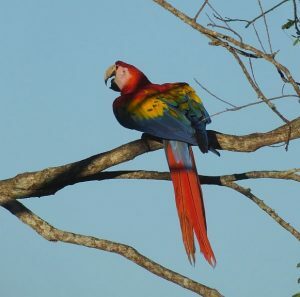 As far as birding goes, a lot can be seen right from the outdoor restaurant (including flyby parrots, macaws, and raptors), on the hotel grounds, on the road in front of the lodge, at Carara National Park, and in the Tarcoles River area. 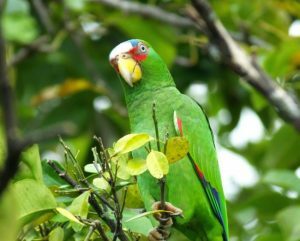 In the northern lowlands, off the beaten track, Laguna del Lagarto is a classic ecotourism site that offers access to lowland rainforest, lagoons, and chances at a variety of rare species. Hotel staff often know about roosting owls and locations for other special birds, canoes can be taken on the lagoons to look for Agami Heron, trails access mature forest, birding in the garden is good, and there are fantastic photo opportunities right from the balcony of the restaurant. A four hour drive from the airport, some of the route to the lodge requires four wheel drive. Not a hotel but too good to not mention! 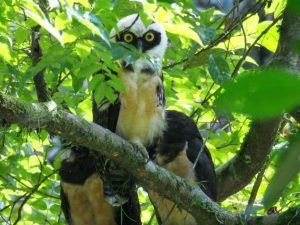 One of the best photography sites in the country, the father-son owners help visitors see dozens of birds, many at close range, and spend the rest of their time with reforestation projects. 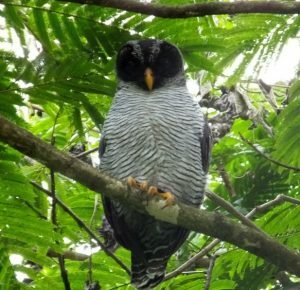 One of the classic birding areas of Costa Rica, the Sarapiqui region offers access to a fine selection of rainforest species, is accessible on good roads, and is a two and a half hour drive from the airport. 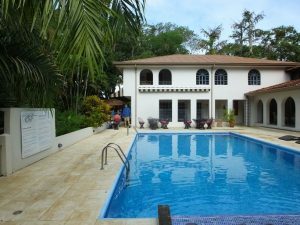 The Quinta de Sarapiqui is one of the better hotels in the area for birders and also works very well as a base for visiting the La Selva Biological Station, Tirimbina, and other sites. 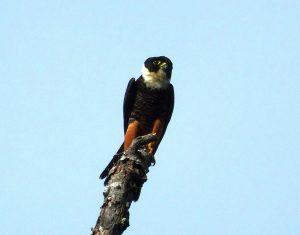 Several common birds occur in the hotel gardens and in a forested riparian zone. 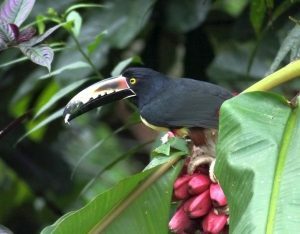 A popular choice for lodging for many visitors to Arenal, this hotel is one of the best birding sites in the country. 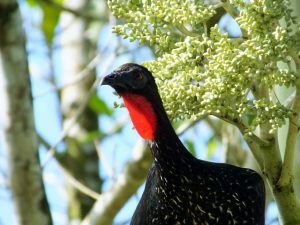 Good trails access quality middle and foothill elevation forest with mixed flocks, antbirds, and more, and the road to the lodge is typically busy with dozens of species. 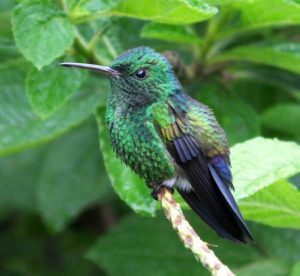 Flowering hedges attract hummingbirds, and fruiting trees in the gardens can host rarities like Lovely Cotinga and Bare-necked Umbrellabird. 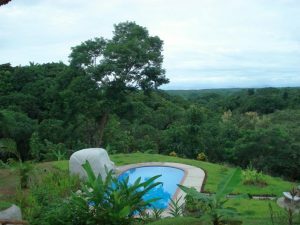 Situated between Arenal and San Ramon, this lodge also acts as a working organic farm that abounds with lowland rainforest species. Although the orchards and canopy tower will keep the binoculars busy, trails also access primary rainforest that host other species. Add an excellent gourmet restaurant that uses many on site ingredients and birding at Finca Luna Nueva is a dream. 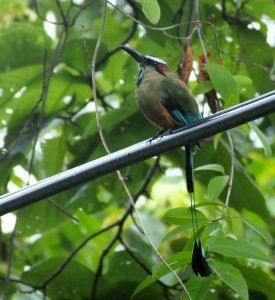 Located about halfway between San Ramon and La Fortuna, this interesting vegetarian lodge often has good birding just outside the rooms. 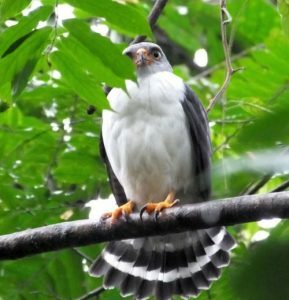 Trails access quality forest with a variety of quality species, a loop road has overlooks to look for raptors and canopy species, and several birds can also be seen at their cafe on the main road above the hotel. A pool and other fun activities make Lands in Love a good choice for a family vacation.